I was going to tell you that you must keep it until I saw the comment before mine. Okay, give it away and make yourself one in a color you would wear! It's a great cowl. The berries are wonderful -- I hope the birds leave you some! 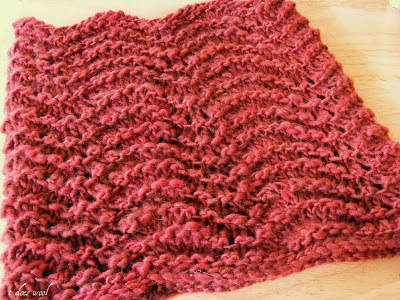 I love how your neckwarmer came out - the color is fabulous on you! BTW, I knit this in Alpaca - and it was unwearable for me. 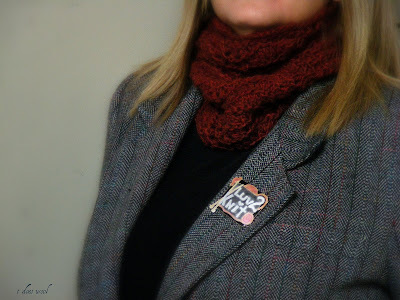 I actually took it to Alaska and gave it as a little gift as only someone living in Alaska could possible wear an Alpaca neckwarmer! What was I thinking??? ?